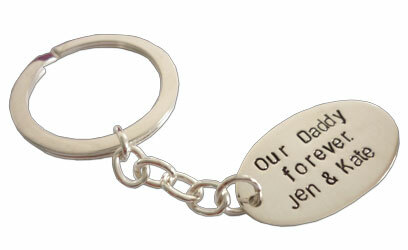 Dad will never lose his keys again with this sturdy, classic, sterling silver, personalised keyring. Customise the tag with names, dates or any short, meaningful message. The perfect sentimental and personalised gift for the men in our lives who won't wear jewellery!